Imagine you’re on a cross-country road trip. As you drive through a lonely stretch of highway in Wyoming, you realize you’re running dangerously low on gas. 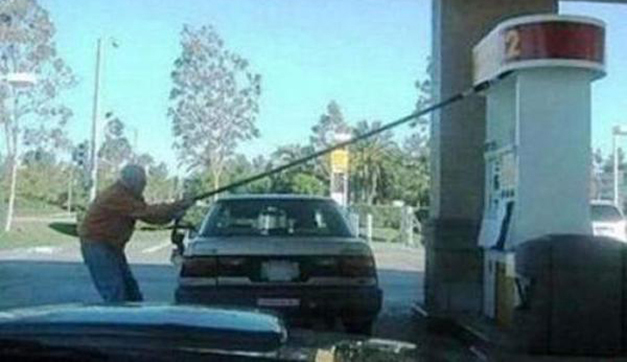 Finally, you see a gas station ahead and you pull up to refuel. But when you lift the pump handle, you find that it (and every pump at the station) has an oddly-shaped nozzle you’ve never seen before—and it’s not compatible with your gas tank. So you’re out of gas and out of luck. You’ve probably never had this experience because gas stations outside the Wild West have adopted standards to ensure that vehicles of all types can refuel at any gas station anywhere. Gas stations, electrical outlets, stoplights, and even the headphone jacks we use interchangeably between devices all use standards. When successfully adopted, they make life easier because things just work. It’s true for edtech, too. Standards make it possible for some of your favorite virtual tools and solutions to work seamlessly together. In fact, as adopters of the Learning Tools Interoperability™ (LTI™) standard, we’re proud to announce that we recently exceeded 150 apps in our LTI-based EduAppCenter. We support LTI because it provides a clean user-experience, it’s fairly easy for most tool providers to build, and once built, it works with just about any learning platform. If you’re in higher ed, this is good (and maybe even old) news. But if you’re in the Wild West world of K-12, you may still be waiting for the arrival of those mythical standards. That’s because nearly 80 percent of the apps on EduAppCenter and other standards-based edtech sites are focused on tools for higher ed. So what will it take to create a more open and collaborative edtech ecosystem for K-12? We’re working hard to educate builders of K-12 tools and resources about the benefits of adopting standards like LTI. We’re also advocating for the adoption of standards in the highly fragmented SIS marketplace. But until the shift toward standards gains momentum in K-12, connecting your favorite edtech tools might make you feel like you’re pulling into the lone gas station in rural Wyoming. (No offense, Wyoming. We love the Cowboy State.) Just know that the proverbial edtech fuel truck is headed your way.